Product prices and availability are accurate as of 2019-04-20 17:52:02 UTC and are subject to change. Any price and availability information displayed on http://www.amazon.com/ at the time of purchase will apply to the purchase of this product. 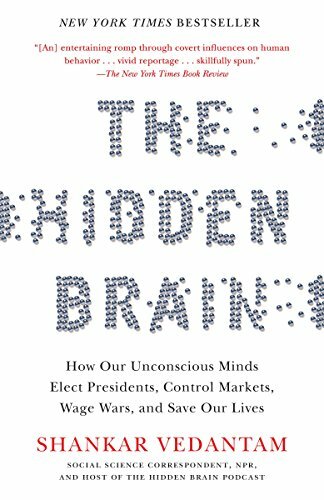 The hidden brain is the voice in our ear when we make the most important decisions in our lives—but we’re never aware of it. The hidden brain decides whom we fall in love with and whom we hate. It tells us to vote for the white candidate and convict the dark-skinned defendant, to hire the thin woman but pay her less than the man doing the same job. 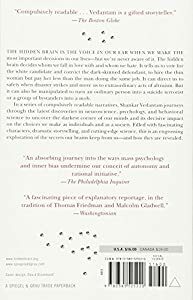 It can direct us to safety when disaster strikes and move us to extraordinary acts of altruism. But it can also be manipulated to turn an ordinary person into a suicide terrorist or a group of bystanders into a mob. 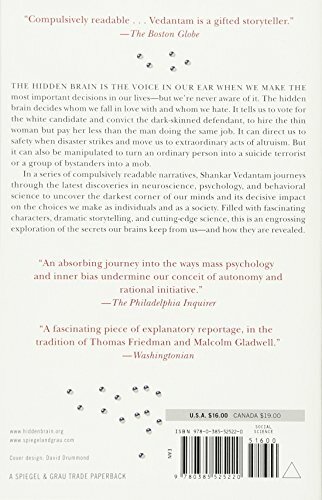 In a series of compulsively readable narratives, Shankar Vedantam journeys through the latest discoveries in neuroscience, psychology, and behavioral science to uncover the darkest corner of our minds and its decisive impact on the choices we make as individuals and as a society. 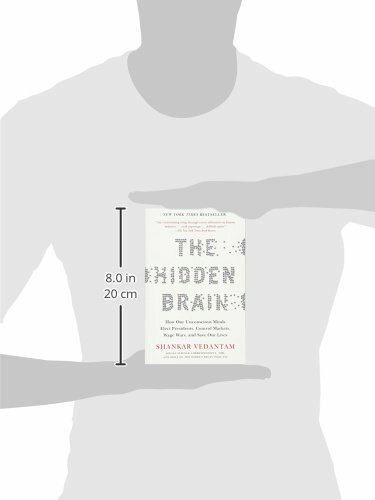 Filled with fascinating characters, dramatic storytelling, and cutting-edge science, this is an engrossing exploration of the secrets our brains keep from us—and how they are revealed.